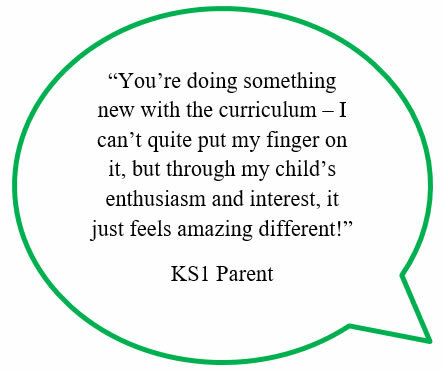 Imaginative teaching and learning approaches allow us to make the curriculum inspiring and exciting. The imagination is one of the most powerful tools that we have for learning, allowing us to explore beyond the classroom walls. 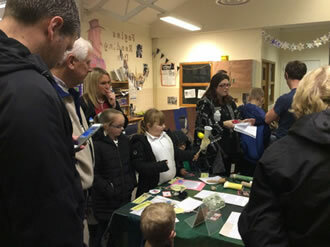 At Bowsland, we have started to explore and use an imaginative-inquiry approach called ‘Mantle of the Expert.’ We believe too many children loose the ability to use their imaginations as they advance in age, yet it is one of the most powerful tools we have to develop curiosity and explore the adventure of learning. Through this approach, learners use this capacity to take on the role of a responsible team to carry out a commission for a client. In their imagined world, children can be anything, at anytime, anywhere, doing anything. The stimulus supplied by their teachers and the lines of enquiry developed by the children allow them to explore the curriculum in a purposeful, collaborative way., We keep standards of English, Maths and Science high by ensuring that skills are taught at a high level within our core curriculum. The ‘mantle’ then provides an opportunity to apply these in a meaningful context. 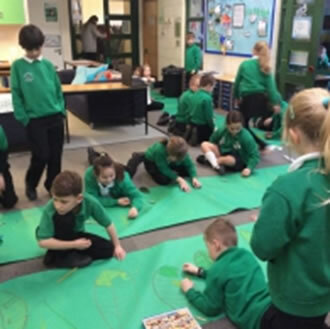 When the children agree to take on the ‘mantle of the expert’ they enter into the fiction as the ones who know, with the power to make choices, take decisions and influence events. But, crucially, they also agree to take on the responsibilities, duties and roles of the expert team. This is why Dorothy Heathcote felt the name was so appropriate and one of the things that differentiates it, as an approach, from conventional drama for learning (Tim Taylor, 2014). 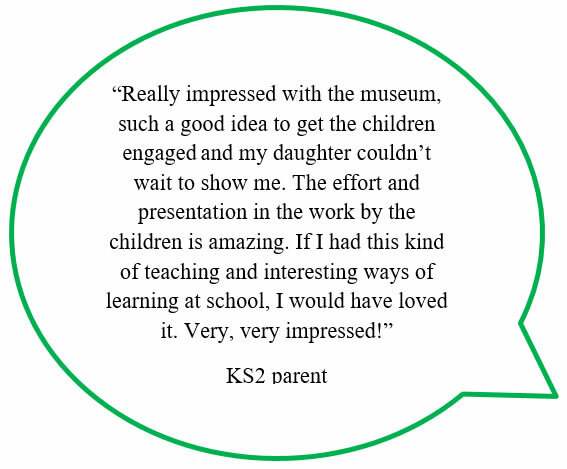 So far, LKS2 have worked as the ‘Curious Curators’ and developed a museum exhibition for a Bristol museum, to share an exciting artefact they had discovered. They have also had the role of ‘Rainforest Rescuers’, commissioned by the World Wide Fund for nature to rescue distressed animals in South America, whose habitats were being destroyed by deforestation. Reception children have worked in role as architects, building a new home for the old woman who lives in the shoe (and all her children! ), and KS1 have run an animal park. 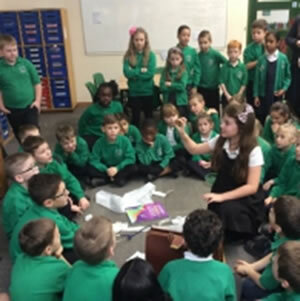 Our older children have been using imaginary enquiry techniques too, for example by responding to a letter from an Earthquake Research Centre where the power had failed – they needed urgent help with line graphs and, luckily, year 5 agreed to help! 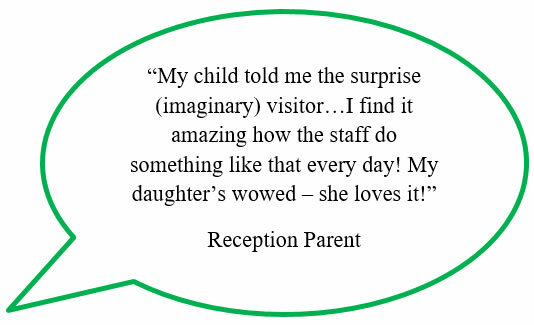 We are continuing to develop this approach across the school and encouraging our learners to use their imaginations. Please visit our class pages to see more examples of exciting learning across the school.